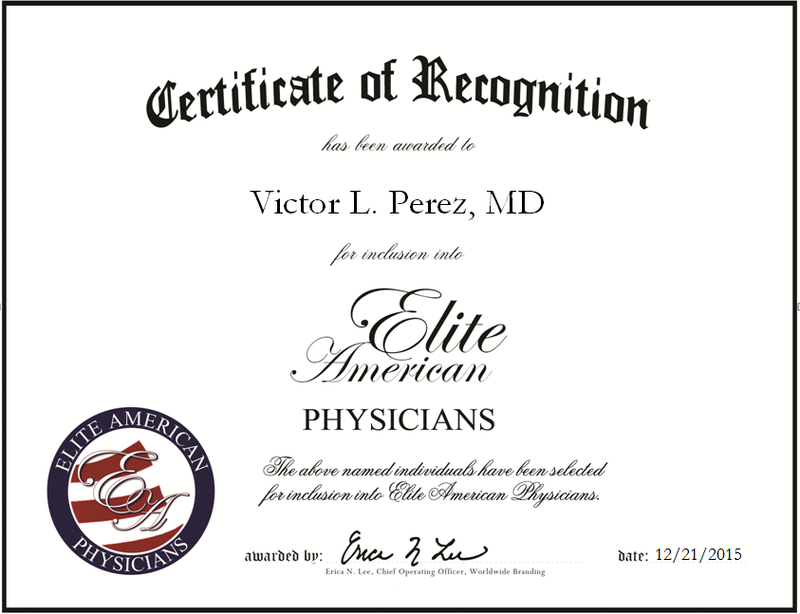 Miami, FL, December 21, 2015, Victor L. Perez, MD, Physician and Professor of Ophthalmology with Bascom Palmer Eye Institute, has been recognized by Elite American Physicians for dedication, achievement and leadership in ophthalmology. Victor L. Perez has always been interested in the eye and its function as a “window to the world.” An expert in cataracts, intraocular lens, ocular immunology, uveitis, corneal and external diseases, corneal transplant surgery, ocular surface diseases and keratoprosthesis, Dr. Perez brings more than 20 years of experience to Bascom Palmer Eye Institute. His responsibilities include working as a clinician scientist in the research of keratoprosthesis, ocular surface disease and dry eye syndrome, and working as a professor of ophthalmology with a secondary appointment in the Department of Microbiology and Immunology. Dr. Perez also completes practitioner duties that involve seeing and treating patients of all ages. In the coming years, Dr. Perez’s goal is to bring his research program to the next level. He completed a research fellowship and immunology fellowship in the department of pathology at Brigham & Women’s Hospital Harvard Medical School, and a uveitis fellowship and residency at the Massachusetts Eye & Ear Infirmary at Harvard Medical School. Dr. Perez also earned an MD at the University of Puerto Rico School of Medicine and a Bachelor of Arts at Washington University in St. Louis, MO. 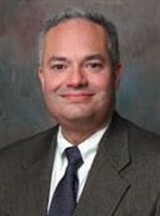 He is currently affiliated with the American Academy of Ophthalmology. This entry was posted in Ophthalmology and tagged cataracts, corneal and external diseases, corneal transplant surgery, dry eye syndrome, intraocular lens, keratoprosthesis, ocular immunology, ocular surface disease, ocular surface diseases, professor of opthalmology, uveitis. Bookmark the permalink.